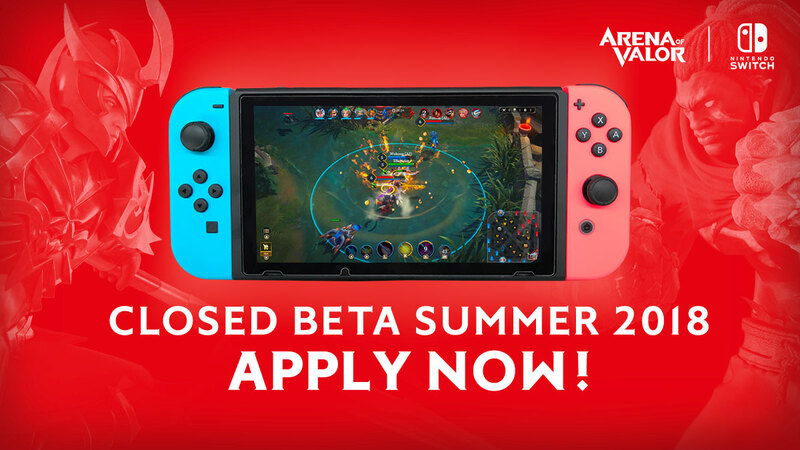 Tencent today announced registration is now open for the upcoming and highly anticipated closed beta for Arena of Valor's Nintendo Switch version, which will bring the world's most popular game to the world’s fastest-selling console. The beta will run later this summer, with dates being announced soon, and Switch owners eager to participate can apply for a chance to receive a code by completing a short survey. This beta is needed to test servers, and is ONLY for the North American and European regions. Beta participants can jump into the game's turbocharged style of 5v5 competitive action when the servers are live. Tencent will send beta keys to selected participants later this month, which will allow unlimited play for the duration of Arena of Valor's Switch closed beta.